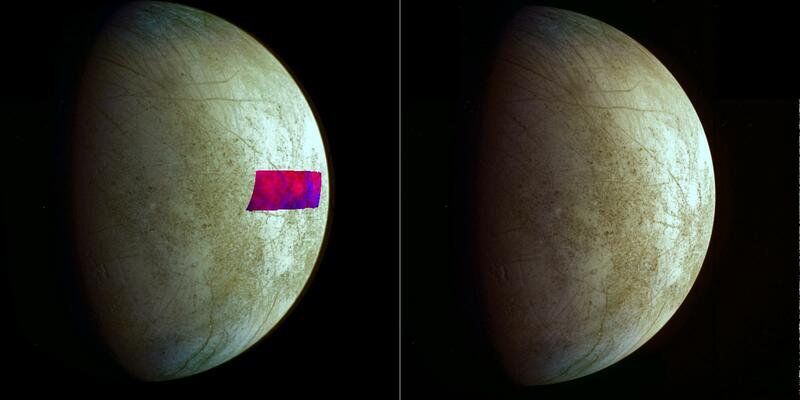 This image, using data from NASA's Galileo mission, shows the first detection of clay-like minerals on the surface of Jupiter's moon Europa. 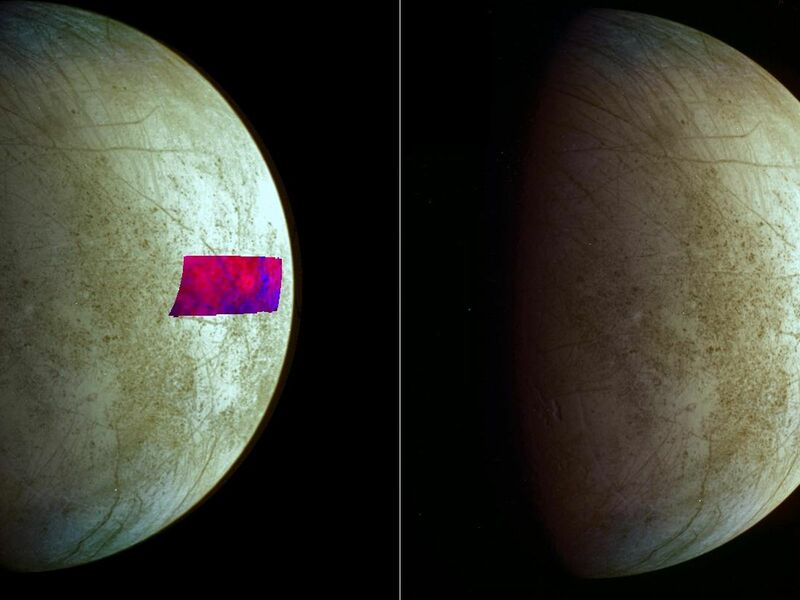 The clay-like minerals appear in blue in the false-color patch of data from Galileo's Near-Infrared Mapping Spectrometer. Surfaces richer in water ice appear in red. The background image is a mosaic of images from Galileo's Solid State Imaging system in the colors that human eyes would see. 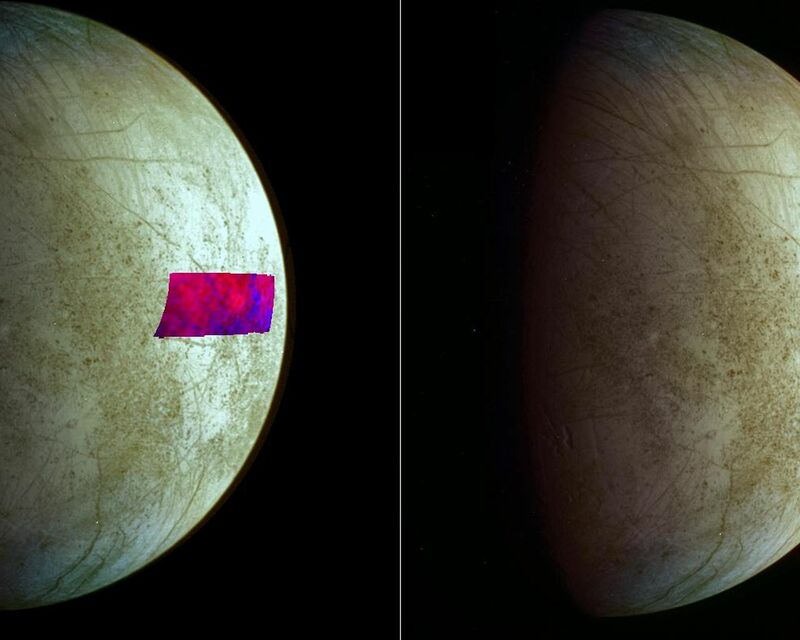 Scientists think an asteroid or comet impact could have delivered the clay-type minerals to Europa because these minerals are commonly found in these primitive celestial bodies. These kinds of asteroids and comets also typically carry organic compounds. A version of the image without the infrared area is on the right. 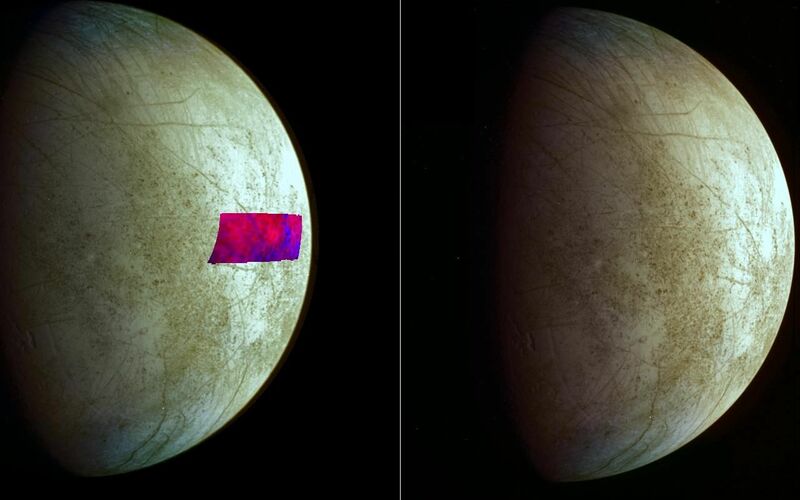 For more information about Europa, visit: http://solarsystem.nasa.gov/europa/home.cfm . JPL is a division of the California Institute of Technology in Pasadena.